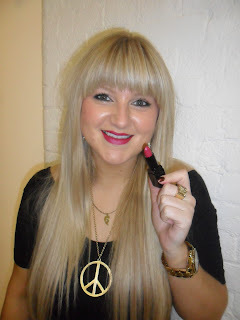 I’m Illamasqua’s PR Assistant. Between Nicola (PR Manager) and I, we look after the lovely UK press, ensuring Illamasqua is seen in all the best magazines and featured on all the top online publications. I have meetings with journalists, showcasing our beautiful new collections and introducing them to the brand which sometimes involves a yummy breakfast or afternoon tea! I get to go to some great events, from London Fashion Week and Clothes Show Live to magazine launches and club nights in Soho. Lipstick in Atomic from our SS11 collection, Toxic Nature. It’s a vibrant fuchsia violet shade with a very clever “bluey hue” which makes your teeth stand out bright white! 2011 was my first year with Illamasqua, so the whole year’s been a highlight. The launch of our first fragrance Freak was incredible. This was a huge turning point for Illamasqua as we’re an independent British brand of only 3 years old. We held events throughout our stores and counters as well as a huge fancy dress launch party with the Last Tuesday Society where everyone got their Freak on! The Freak hype spread globally and is continuing to cause a stir throughout the beauty world. 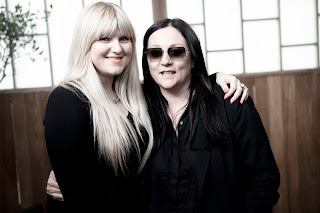 Another great part of my job is working with Kelly Cutrone of Peoples Revolution. Kelly signed copies of her new book “Normal Gets You Nowhere” at our Flagship store on Beak Street in July and continues to represent Illamasqua and the SOPHIE charity in the US. Being such a well-known PR guru, she’s fascinating to spend time with and is happy to answer all my millions of questions! Things are constantly changing here at HQ which is always exciting! I’m looking forward to working closer with the Social Media team and on the international PR side of things.